-- Select a Size -- 3 Pack for X-Small - Coming Soon! 3 Pack for Small - Out of Stock! 3 Pack for Small Wide - Out of Stock! 3 Pack for Medium - Out of Stock! 3 Pack for Large - Out of Stock! 3 Pack for X-Large - Coming Soon! If your original lenses get boring or worn out, replace them easily with this multi pack replacement lenses. The lenses are easy to change out. It comes with three blue revo mirror lenses. These Goggles help dogs who need eye protection from the sun, flying debris, wind, rocks, and bugs. So make sure your dog's lenses are always in good condition. Posted On 11/04/17 by marcy l from Warren, NJ Yes, marcy l recommends this product! These are a fun upgrade to the lenses that came with our Rex Specs goggles, the best part is that they are the same as the lenses in my favorite sunglasses so we match when we’re out paddle boarding! Posted On 08/23/17 by Erik from Orlando, FL Yes, Erik recommends this product! 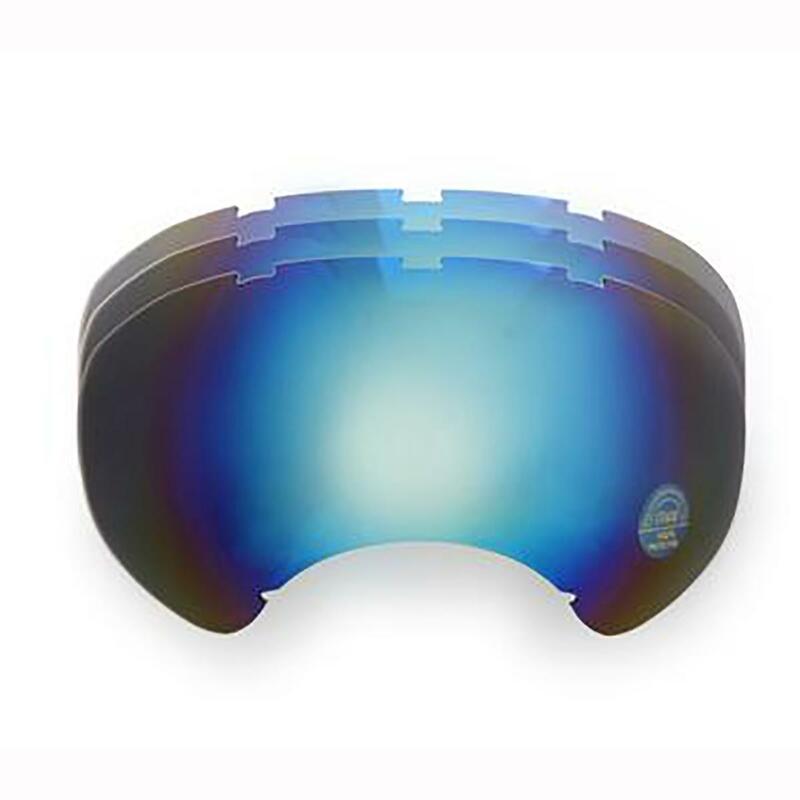 We love these blue mirrored lenses, we are hoping they come back into stock sometime soon. Posted On 06/23/17 by Erik from Orlando, FL Yes, Erik recommends this product! Great price for a 3 pack of replacement lenses compared to the company's official RexSpex site that only sells a 1 pack.